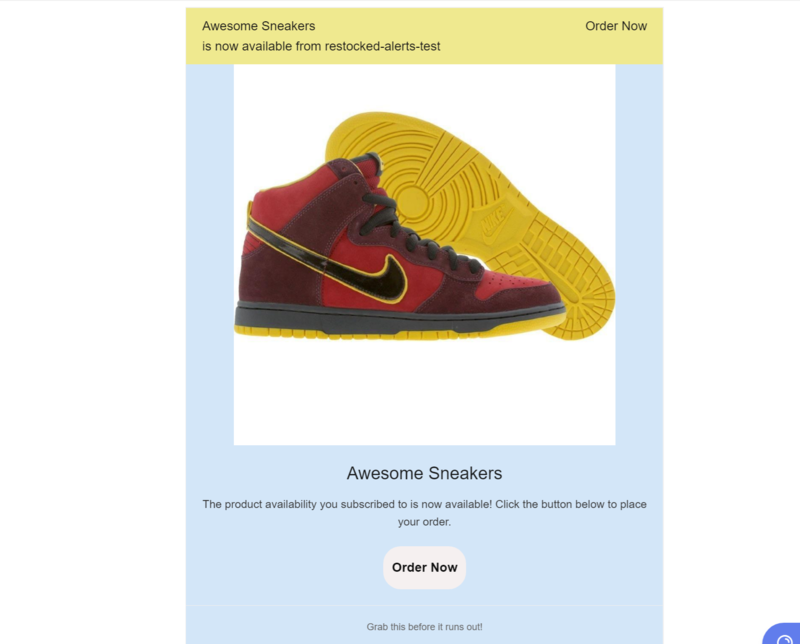 You can modify the template of the emails that are sent to customers who subscribed to receive notifications for restocked items. General - This section lets you edit the email subject and email address. Header - This section lets you edit the text on the header, the colors for the text and background, subheader text, and buy link button. Body - This section lets you choose the colors for the body's headline, background, text, and link, adjust the image size, modify the headline and content text. 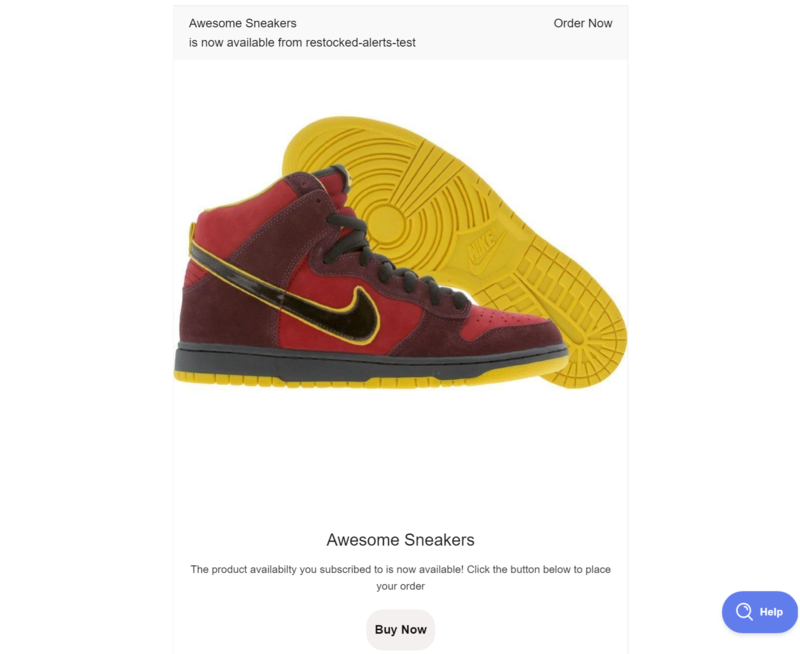 Buy button - This section lets you change the text for the button, as well as its background and text color. Footer - This section lets you create a phrase, note, or whatever content you wish to show at the bottom of the page.